Music Spotlight: "Decades Of Worship"
On the heels of the recently released instrumental album Glory, mainstay Michael W. Smith’s latest is Decades of Worship, bringing together the best of his beloved worship hymns written throughout a career spanning 30 years. The CD features 12 tracks including such favorites as “Agnus Dei,” “Above All,” “A New Hallelujah” and “Breathe,” among others. Michael’s previous projects have garnered multiple awards including an American Music Award, three Grammy Awards, 44 GMA Dove Awards and 33 No. 1 radio hits. 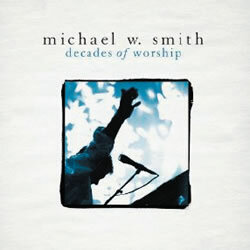 For more articles featuring Michael W. Smith, click here.